My sister and I decided to get GSP puppies from the same litter (sisters named Ruby and Pam) in June of 2010 and they have been the centers of attention ever since! Jeremy and Amy were very helpful in making sure my sister and I both got a great fit for our families and we could not be happier with these two puppies. We brought Ruby home to Minneapolis where she instantly became a treasured companion. Ruby has a calm, mild temperament and is very curious, two qualities that make her an instant favorite with both people and other dogs. She spends most of her time learning to hunt with my husband (he says she’s a natural), sprinting through the dog park, and curling up next to me for some much-needed R+R after all that work! In the past year, we have also grown to appreciate Ruby’s wonderful sense of humor (we find rawhide bones buried under our pillows, blankets, couch cushions, etc) and her skill as a vigilant watchdog (mostly for the mailman and squirrels in the backyard). We can’t imagine life without her, as Ruby is truly one of a kind! I just want to let you know how happy we are with our German Shorthaired Pointer, Tia that we got from Any Good Reason Kennels. I was out at the Game Fair in Anoka in August of 2008 and walked by your booth, saw your pups,and just knew I had to have that little female.I did go home and get my wife and drove back to the Game Fair so she could see her. We left with Tia that afternoon. As we were walking back to the Suburban I picked up a pine cone and through it. Tia ran over and got it. I was grinning. Tia is great in the field. She goes full bore all the time, but at the same time all I have to do is whistle and she hooks right back around and comes to me. Her retrieving is outstanding and she has a great nose. Couldn't be any happier with my hunting partner. As for a family dog, she's quite the character. We are always laughing at her. She is great in the house. She keeps our 9 year old lab young. Tia and I will be visiting your booth every year, and will be checking out your pups. Much Thanks for a great dog. Our wonderful sweet amazing dog, Finnegan, came from Any Good Reason Kennels Summer 2010. Our only regret is that we had him spayed. 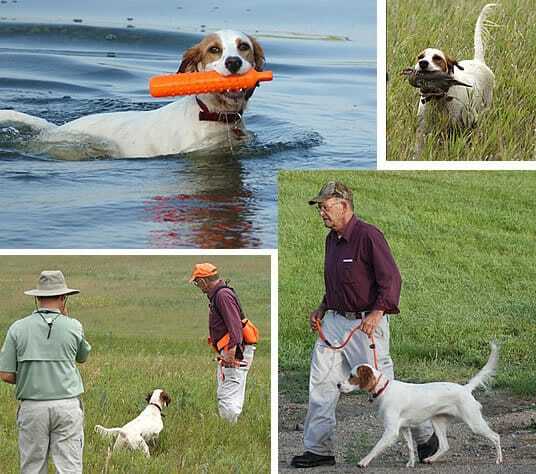 We have been approached countless times asking if we would have him father some more clones of himself because he is so perfect………….. we told Jeremy that we wanted first of all a family dog, and secondly a good dog for my husband and son to take out pheasant hunting several times a year. He promised us that the pup he recommended would be what we were looking for. Finnegan is this rare breed of dog and probably even rarer breed of short hairs that is a perfect combination of high energy natural born instincts to run 50 miles an hour and eagerly flush out and fetch birds, while also being the sweetest loveingest snuggler family pet you could hope to find. He’s smart, he’s eager to train, he’s a natural bird dog with no formal training (my husband has taken him to south dakota 4 times and he puts highly trained dogs to shame)………….he’s so happy to be out in the field running, and equally happy laying with his head in our lap on the couch content and mellow. We love love love him. how’s that for a testimonial? 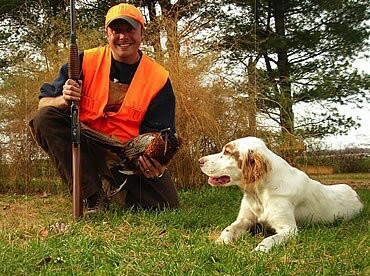 happy to take phone calls………….. couldn’t ask for a better pet/family member……….. the hunting part is a big bonus. He’s almost a year and half, and after the “high energy” puppy phase, he has been utterly delightful, happy to please us, affectionate, and smart smart smart. 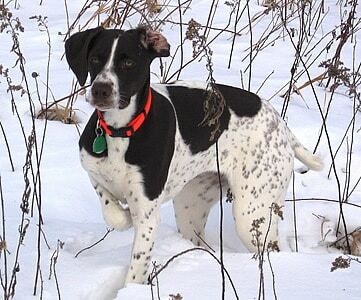 "We're loving our GSP! He was out in the field with Tracy last weekend and passed with flying colors. 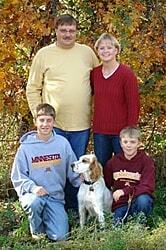 They are looking forward to hunting ND pheasants next weekend. My experience with Bailey is as a companion/pet and I couldn't be happier. He's got the house-training down, crates well when necessary and comes when called 🙂 You promised a healthy, hunt-happy, great family dog and that's what we got. " "All is very well here. She likes being a house dog and all the attention from the kids and of course Jodi and I. Her nose is really starting to kick in. On our daily walks she locks up on any creature, moving or not, flying or on the ground. I don't know how she knows the difference but she is great with people and other dogs but barks at strangers. She is extremely smart, picking up on things very fast and at times seems to read my mind. She has not had an accident in the house since late August, she will come and get me than make sure I follow her to the back door and let her out. I would like her to bark at the back door but she really doesn't bark that much as all. She is really a clown and loves to play. About the only thing she did bad was to pull up some sod. Not sure why but she likes to eat grass and new sod must have been a treat. After I caught her and told her about it she has left it alone. She stays in the hot tub room with us and I am waiting for her to try and jump in one of these days." "Belle is our 17 mo old German Shorthair from a Piper litter we were lucky enough to get from Any Good Reason Kennels. Jeremy did an excellent job of "placing" the right dog from the litter for our home. We have two children and a golden retriever so we wanted to be sure we welcomed a puppy who would do well in our home... and one of us also wanted her to have a good nose for pheasants. Belle has been a great combination of both! Belle has worn a princess crown on her head and played "vet" with our girls, and has been successful in the field. We purchased Belle at the Game Fair in Ramsey in 2008. When we returned in 2009, Jeremy recognized us, was genuinely curious about Belle and helped us find a trainer for her. Because of their knowledge in finding the right dog and their concern for the dogs well being after the sale, we would highly recommend Any Good Reason Kennels if a new puppy is in your future!" 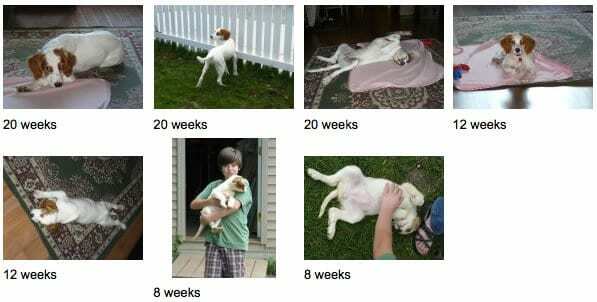 "My Lizzie is out of McKenzie's May 09 litter. You (Jeremy) were pretty optimistic about the litter, so I want let you know how Lizzie is turning out. I ran her in a North American Versatile Hunting Dog Association (NAVHDA) test a couple week ago. She did very well scoring 108 out of 112 max! She only slipped on the tracking portion and for that I can excuse her.. It was very short stubble and I had not had a chance to let her practice that in advance. Lizzie does love to hunt. She finds birds and holds her point well. She takes to water like a lab. We are well along on fetch/retrieve training and I am sure we will not leave any downed birds lost in the field this fall. I look forward to Lizzie being my hunting partner for many years. Attached are some photos from the NAVHDA test Lizzie is also a wonderful pet. She spends the night in the living room or on my bed." "I just want to let you know that Tipper has been quite the addition to our family. Both Steve and I have always had dogs and have had the pleasure of raising them from puppies. Tipper is the 4th puppy we have had since we got married some 20 years ago. We have had to go through the lovely whiny stage when you get them home, nights and nights of crying etc. Tipper was quite the change from what we considered the "norm." The first night we had her home she cried for 5 minutes in her kennel. Then slept until 5:30 in the morning. That was the only night she cried until the 1st day of school when she objected to being put in the kennel at night after having spent a majority of her day in the kennel. That night I did the unthinkable and what would be a drastic change. I didn't want the boys to loose any sleep so I brought her into our room and had her lay down between Steve and I. Well, that is where she has slept ever since. At least now we can trust her to stay on the bed at our feet! She is such a good girl. She rarely barks and usually only at our other dog when she wants to play. She is quite inquisitive and loves to run into our grove to check out what she can find. She sees everything. She is beautiful to look at when she is on point and so still. Steve and the boys can hardly wait to take her out this fall and see what she can do. Tipper is so calm and quiet that sometimes you forget that she is there. She loves being a part of the family. We do admit that she has become spoiled. Way too many toys. She loves to go camping with us. She sits and watches everybody go by and doesn't bother them. Thank you so much for all the work that you did with her before we brought her home. She is truly a wonderful addition to our family and we love her dearly. " "Buddy is an awesome dog! We couldn't be happier with his training progress and his great personality. He is a quick learner and loves to be in the fields. When he comes home from the field, he is a great family companion and house dog. We truly have the best of both worlds in Buddy. We are very excited for the hunting season ahead and many more to come with Buddy! 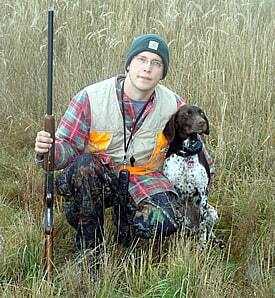 Thank you so much for breeding such great German Shorthair Pointers!"